Erica Dunmow, UTU Chair of Trustees and the County Ecumenical Officer for South Yorkshire. She worships in an Anglican/Methodist/URC partnership church and lives out the challenges of following Jesus in multi-cultural Britain in Darnall. From 2004-10, Erica led the U.K. Urban Mission Development Project (co-funded by the Methodist Church and the Evangelical Coalition for Urban Mission), on cross-cultural urban ministerial and lay training rand engaging with black-led and Pentecostal traditions. Erica has an MA in Theology and Ministry with St John’s College, Durham. Ian Duffield, Director of Research, is an Anglican priest who has served in five contrasting parishes, including thirty years in the city of Sheffield. His Doctorate in Ministry was undertaken with New York Theological Seminary through work at UTU. Ian has thirty years experience of post-graduate research supervision. Ian has written widely, including for John Paul the Preacher’s Press, Expository Times and for UTU publications. Ian’s interests include systematic theology, the ethics of warfare, contextual theology, urban theology and urban ministry, as well as a social radical interpretations of scripture. Ian is married to Liz and they have two grown up sons, Andrew and Peter. He enjoys films and plays in the local church’s snooker team. 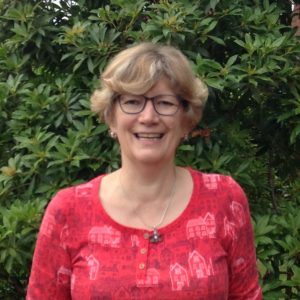 Christine Dutton , PhD supervisor, is a Methodist minister in the Chester and Delamere Circuit and is just about to complete her PhD with UTU exploring Fresh Expressions of Church. John Vincent, PhD Supervisor, is a Methodist Minister and was President of the Conference in 1989-1990. Since 1970 he has worked in Sheffield in the Inner City Ecumenical Mission and the Urban Theology Unit, which he founded in 1969. John’s doctorate is in Discipleship in Mark (Basel University, 1960), after study with Oscar Cullmann and Karl Barth. 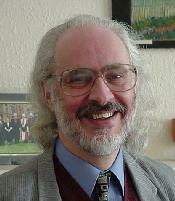 John was Director of UTU until 1997, and continues as a part-time tutor. 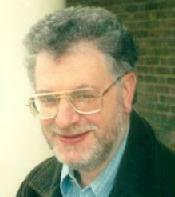 He co-chaired the Methodist Report, The Cities in 1997, and jointly with Chris Rowland edits the series British Liberation Theology. John is the author of over 30 books, including Methodism Unbound: Christ and Methodism for the 21st Century (2016). 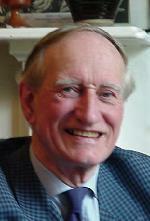 In 2004, he was made an honorary fellow of St Deiniol’s Library. In 2005, he received a Sheffield University Centenary Award, and in 2006-07 was chaplain to the Lord Mayor of Sheffield. With Professor John Rogerson, John convenes the annual Summer School at UTU, held each July. Robin Pagan, PhD Supervisor, is a Minister in the URC with ministries in rural Northumberland and South Wales and Industrial Mission in London but now retired in Norfolk. Robin’s first degree was in fine arts and he still paints and plays the cello. Robin has thirty years experience in Post-graduate research supervision. Robin’s doctorate was undertaken with the New York Theological Seminary through work at UTU, and he has been involved with the training of URC ministers. 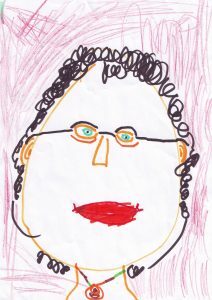 Robin is married to Gabriel who is senior supervisor with Relate, and has 5 grown up children. His favourite composer is Schubert and his theological interests include hermeneutical cycles in Luke-Acts. With another UTU colleague, Ian Duffield, he is engaged in a major research and writing project on Radical Voices in the Bible. Our office administrator, Jill Wagg, is in the office Monday mornings from 9.30 – 1.30. Grounded in faith and family, she brings many years of office administration experience in the business, voluntary and education sectors. She is pleased to belong to the team, to help the trustees and members enable the UTU to thrive.